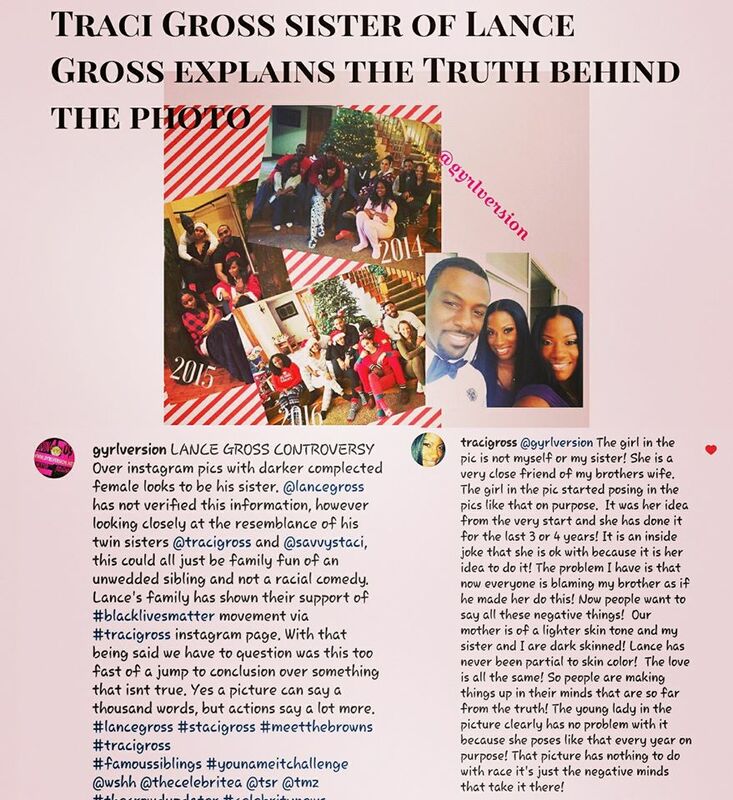 Lance posted a photo on his instagram of a female singled out from the rest of the group. People saw the photo and determined it was a racial slam towards darker complected women because the female happened to be the only darker complected women in the photo. We decided to get the truth, considering Lance has twin sisters of similar complex. Traci Gross has responded, stating that this was all a mix up.